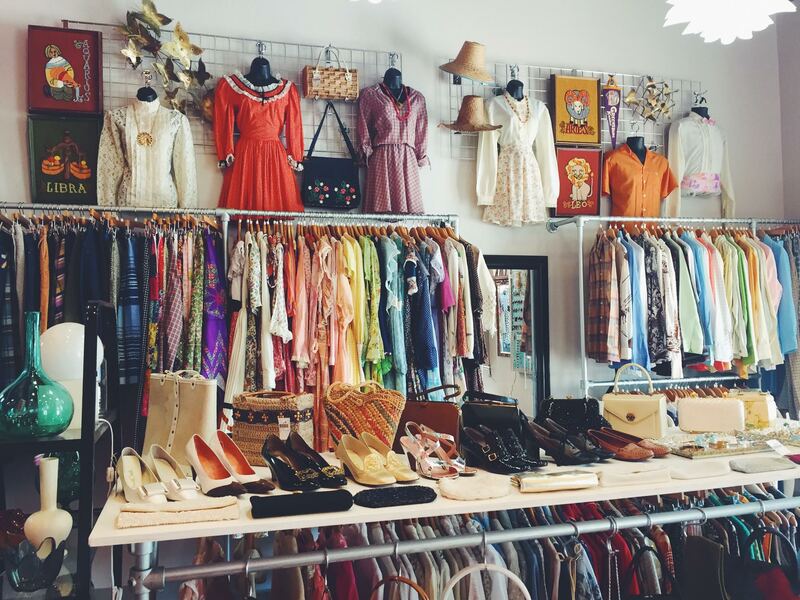 Vintage Tex today announces that the shop has a brand new look. 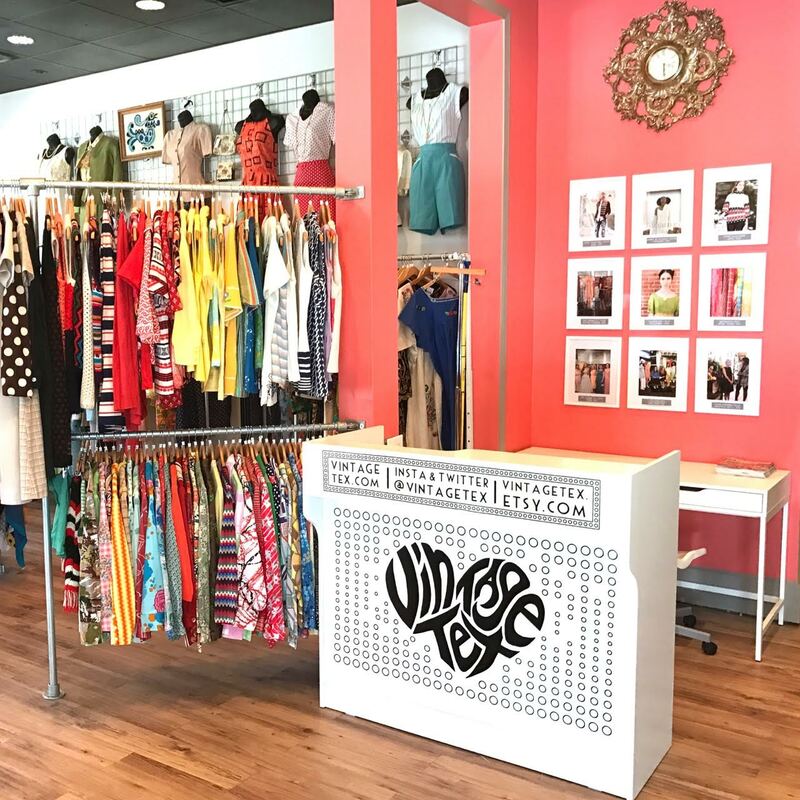 The vintage clothing store, located in historic downtown Grapevine (603 S Main St, Ste 300, Grapevine, TX 76051), has been remodeled with industrial, modernist touches. Small drop pendant chandeliers now hang from the ceiling. The walls have been painted gray and the ceiling has been painted black. All the commercially-made store fixtures have been updated with galvanized pipe. 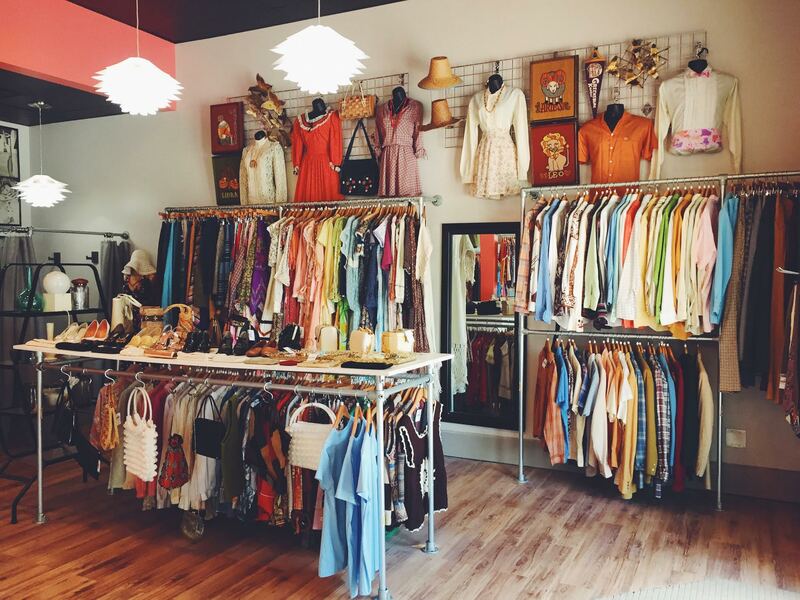 “This has been a goal of mine since opening the store in 2012,” says Vintage Tex owner Jen Cooper. “We wanted a more suitable backdrop for the gorgeous vintage finds we offer.” Cooper is an avid remodeler who has restored over a dozen historic Texas homes to their original glory, including her own Bedford ranch, which is featured in the May issue of Indulge Magazine. The store is open daily from 11 am – 6 pm. 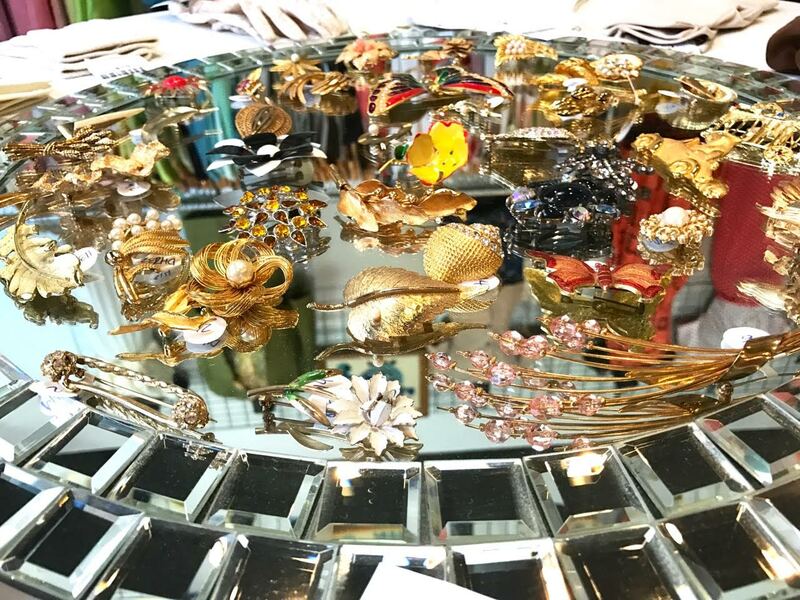 In addition to clothing from the 1920s to the 1970s, Vintage Tex offers a variety of accessories including vintage handbags, scarves, aprons, gloves, hats, brooches, jewelry, and more.